Pets eat the strangest things…!! Over the course of Debbie Evanson’s career she has very rarely been surprised by what pets will try and eat, and has removed lots of items from the digestive tracts of cats, dogs and even a tortoise! (the tortoise having eaten a piece of the owner’s jewellery), but this month the item Alfie, a chocolate Labrador, decided to eat was a surprise even to her. 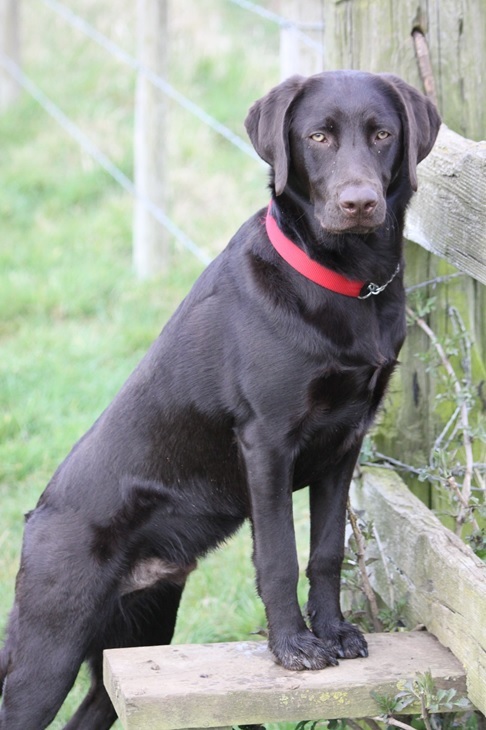 Alfie for some reason known only to himself decided to chew up an industrial scalpel blade and swallow the pointed end! How Alfie managed to swallow the sharp blade into his stomach without severely damaging his mouth or his oesophagus is another mystery, but when she x-rayed his stomach there was the piece of scalpel in all its glory. Sometimes when pets eat things they shouldn’t, making them vomit to remove them is an appropriate course of action, but this should never be undertaken with anything sharp, such as bones, stones and pieces of metal as they can severely damage the oesophagus on the way back up. 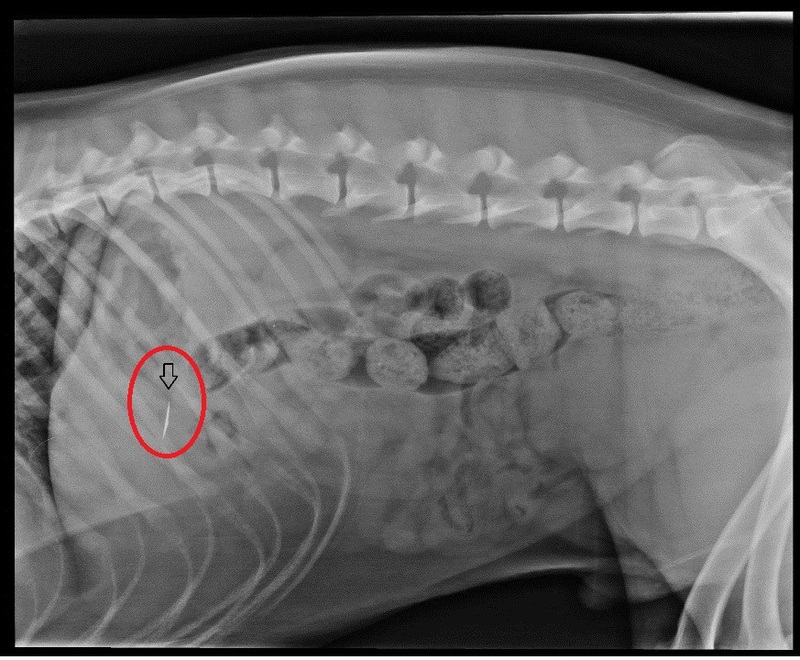 Alfie was taken to surgery and the piece of scalpel blade was removed successfully from his stomach. The piece they removed matched exactly the piece of scalpel blade that was missing from the bits the owners had been able to retrieve before Alfie could swallow them too!! Alfie made a full recovery and is now back to his normal bouncy self. But he is a very lucky dog and things could have been very different if the scalpel blade had pierced through his oesophagus or stomach wall. So please be very vigilant about anything that is lying about the house, always try and put anything sharp out of reach of not only children, but pets as well, as you never know what they will find tasty and desirable to eat!